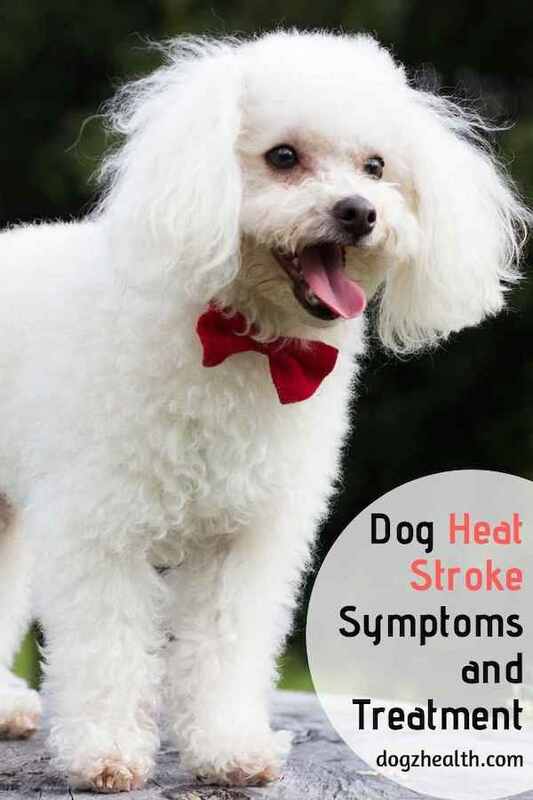 Dog heat stroke is an emergency and quick action is needed to prevent permanent brain damage or even death in the dog suffering from heat stroke. Symptoms include heavy panting and difficulty breathing. Read on to get additional information on the symptoms, treatment, and prevention of heat stroke in dogs. Unlike people, dogs cannot cool down by sweating. In fact, the only few sweat glands that they have are on the pads of their feet. You can say that dogs don’t have a very efficient cooling system. As such, they do not tolerate high temperatures as well as we do. To lower their body temperature, dogs pant. But as you can imagine, if the environmental temperature is very high, panting is not the best way to cool down! So it is extremely important to keep our dogs cool in hot summer days to avoid heat stroke. Having the dog exercise strenuously on a hot humid day. Leaving the dog in a car with windows closed on a hot day. Confining the dog on concrete or asphalt surfaces. Leaving the dog outside without shade and fresh water on a hot day. Putting a muzzle on the dog while using a hair dryer on the dog. 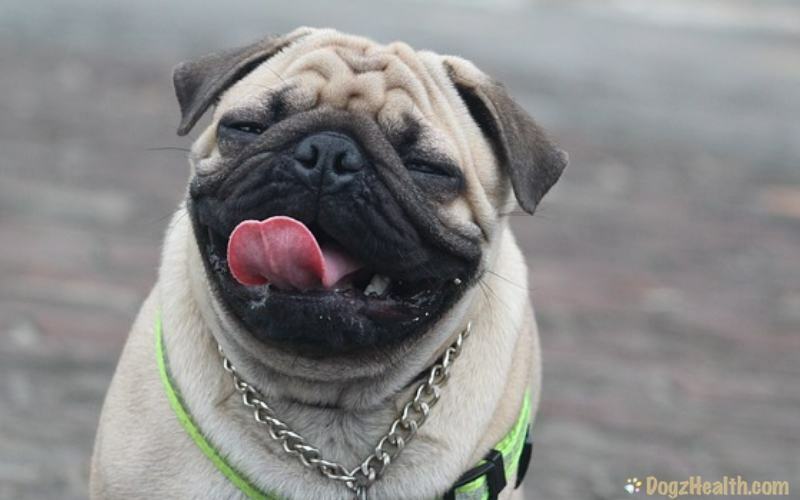 Brachycephalic dogs (short-muzzled dogs) such as Pugs, Bulldogs, Shih Tzu and Boston Terriers. Dogs with a thick coat. Dogs having a high fever. Dogs with a heart or lung disease that causes respiratory problems. Bright red tongue and mucous membranes. The rectal temperature can go up to 104°F to 110°F. The dog will likely vomit. 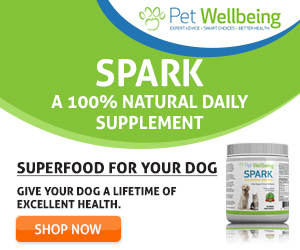 If quick treatment is not received, the dog starts showing signs of unsteadiness. He may also pass bloody diarrhea. He then will suffer from shock and his lips and mucous membranes will turn gray. This will be followed by collapse, seizures, coma, and eventually death. Heat stroke in dogs requires quick and emergency treatment. Immediate measures to cool down the dog are essential to avoid brain damage which can occur rapidly – usually in just a few minutes. If your dog is showing signs of heat stroke, move him out of the source of heat immediately, e.g. into an air-conditioned room. Take his rectal temperature and monitor his temperature every 10 minutes. If the rectal temperature is over 104°F, lower the dog’s body temperature immediately by spraying him with water or immersing him in a tub of cool water for up to 2 minutes. Never use very cold or ice water to cool down your dog. Cold water causes constriction of the surface blood vessels and slows down the transfer of heat from the body to the outside. You may also wipe the dog’s paws with cool water and apply cool packs (e.g. bags of frozen vegetables) to his groin area. Continue the above cooling process until the rectal temperature falls below 103°F. Then stop the cooling process and dry off the dog. If the dog is cooled down further, he may develop hypothermia (low body temperature) and shock. It is essential to take your dog to the vet for a thorough physical check-up after an episode of heat stroke to make sure there is no permanent damage caused by the heat stroke. DO NOT leave your dog in a car with the windows closed, especially on a hot summer day. Allow your dog to exercise only moderately on a hot summer day. Encourage your dog to drink plenty of water during breaks. Outdoor dogs whould have their resting place in a shady area to avoid the heat from the sun, and should have access to fresh water at all times. Dogs with respiratory disorders should be kept indoors with the fan or air-conditioner on during the hottest time of the day. Check out this effective product that can keep your dog cool on a hot humid day and prevent him from getting heat stroke: Ruff Wear Swamp Cooler Cooling Vest for Dogs .